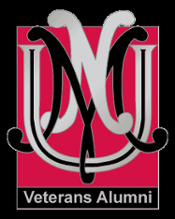 All veterans, separated or retired, regardless of point of separation or state of residence are eligible to receive in state tuition while attending UNM using VA Education benefits. This waiver is for use while attending in residence in New Mexico. This applies to all who have received any type of discharge other than “dishonorable”. Please turn your DD 214-Automated (which must contain item #24: "Character of Service"), separation, or retirement orders into admissions when applying for this waiver. This provision covers dependents whose sponsors lost their life while on active duty, not restricted to combat related loss of life. The dependents must move to New Mexico within 60 days of the death and provide evidence of that move. Please turn in a copy of the Notification of Death to admissions when applying for this waiver. All Active Duty members and their dependents are billed at in-state tuition rates while stationed in New Mexico. Further, the dependents maintain in state status if they remain continuously enrolled and in good standing even if the Active Duty sponsor is transferred. 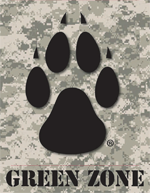 An Active Duty Military Waiver, is required with the admission process. This provision enables all National Guard members and their dependents to be billed at in-state tuition rates while attending UNM. An Active Duty Military Waiver, is required with the admission process. This form is used for all NG status, Active Duty (Title X), State Call-up (Title 32 ) and Drilling Status. The Vietnam Veterans Scholarship is for veterans who has been a New Mexico resident for at least 10 years and were issued the Vietnam Campaign or Service Medal. This scholarship can be used for Undergraduate or Graduate Studies and pays full tuition and books. Children between the ages of 16-26 whose veteran parent was killed in action or died as a result of their wounds incurred in battle, qualify for a full tuition waiver at any state funded post-secondary school. If a veteran entered active duty as resident of New Mexico, they may recieve up to their full tuition paid and a $150 stipend for books and course fees.